This project is located in Bridgeport Chicago across from a newly renovated park. The goal of the design was to create privacy on the ground floor while opening the building up to the view of the city and park through a series of shifting volumes. The entry to the home is located on the side lot line so that the visitor enters into the main atrium that runs through the middle of the shifting spaces. 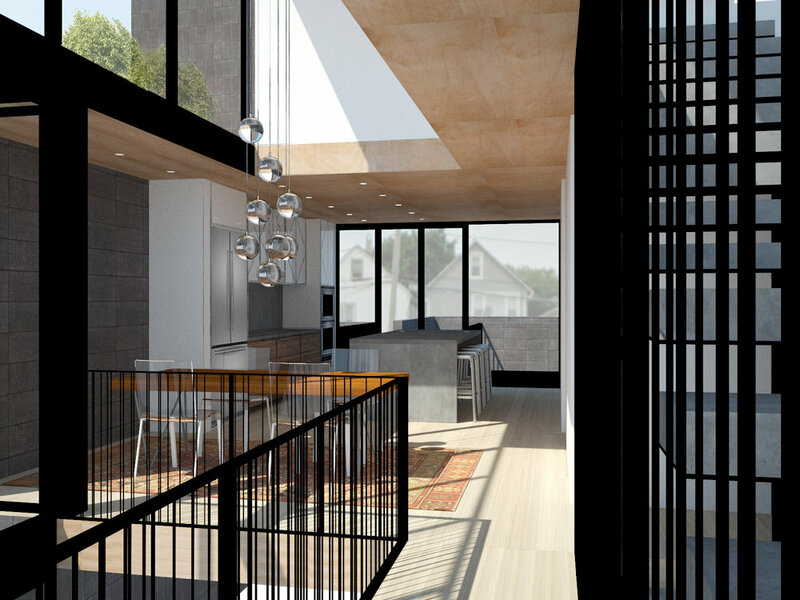 The atrium allows for light and air to reach all portions of the building while also creating a private interconnected experience for the family.